erschienen in: Carmen Meinert (Ed. 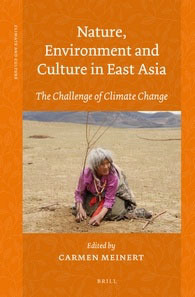 ), Nature, Environment and Culture in East Asia, Brill 2013, pp.197-230. In this paper Sausmikat summarizes the last 20 years of environmental activism in China. During the last 20 years, the protagonists like the topics, the strategies as well as the function of environmental groups (or “ENGOs”) had undergone vast changes. Internationalisation and professionalization had also played their parts in influencing the working style of those involved with NGOs. While many articles focused on the specific relationship of the NGOs with governmental agencies, this paper reconstructs the discourses and strategies of environmentalists during the last 20 years.